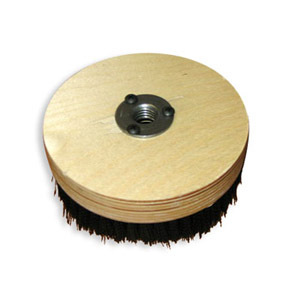 This Rotary Buffer Scrub Brush can be bolted on to any rotary buffer and used as a scrubber for interior carpets, upholstery and trunks. This works great and saves time hand scrubbing those nasty, filthy mini van and SUV cargo area carpets. New metal threaded opening will extend the life of this brush! 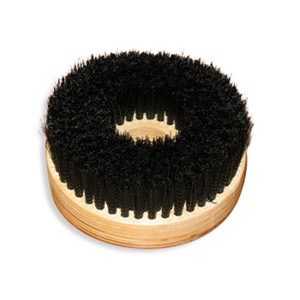 The diameter of the brush is 5" the bristle length is 1".